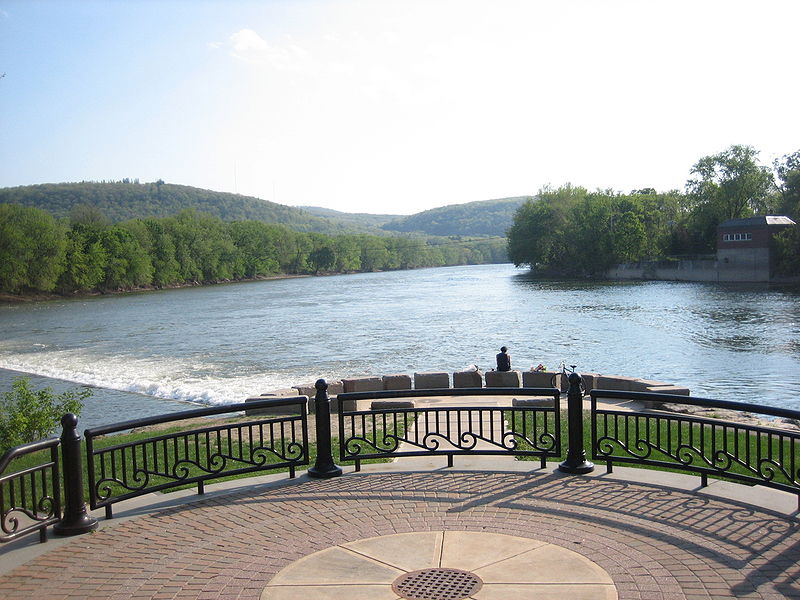 Confluence Park, Binghamton NY; where the Susquehanna (left) and Chenango (right) rivers converge. Photo by Tom Vazquez/Wikipedia (Public Domain Image). Also the county seat of Broome County, Binghamton was nicknamed The Parlor City for stately homes such as the Roberson mansion (now part of the Roberson Museum and Science Center). Binghamton was also once referred to as part of "The Triple Cities" along with nearby Johnson City and Endicott.